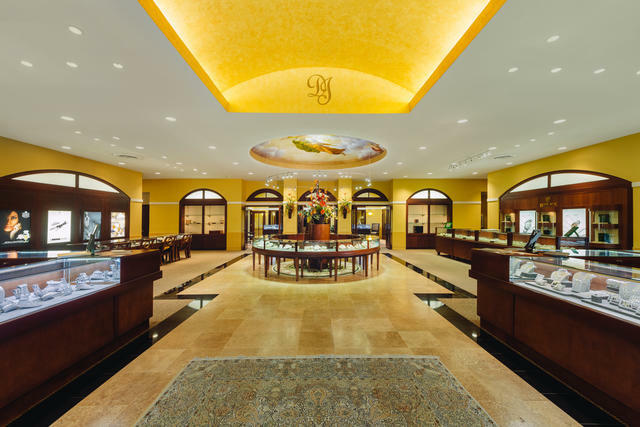 Situated in The Woodlands, Texas, just north of Houston, is the celebrated Donoho’s Jewellers, the seeds of which were planted in the 1960s when Jean Donoho began a small business selling jewelry to her friends. She and her husband, Tom, encouraged by the success of this venture, opened 14K Jewelry in 1979. Shortly thereafter the couple relocated the store, renamed Donoho’s, to a larger, freestanding boutique that remained its home for the next nine years. 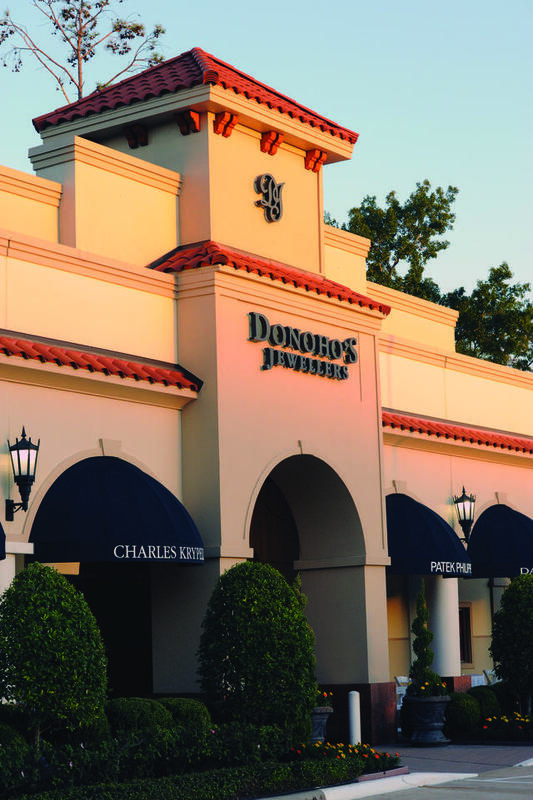 Two-thousand-one brought yet another relocation, this time to Donoho’s Jewellers’ current 10,000-square-foot salon on Six Pines Drive, where it continues to earn a distinguished reputation for its selection of Swiss timepieces and jewelry, now under the ownership of R. Andrew Johnson. A browse through the store’s showcases confirms its desirable position among the elite retail outlets of the Houston metropolitan area and beyond. Timepieces by Rolex, Cartier, Breitling, Girard-Perregaux and many more represent some of the industry’s most distinguished brands, and Donoho’s proudly displays them at their finest. Donoho’s Jewellers’ watch offerings are complemented by a large selection of designer and custom jewelry from David Yurman, Penny Preville, Stephen Webster, Mikimoto and many others. The store’s jewelry inventory is constantly evolving, with a strong focus on adding pieces that imbue an enduring style and quality, as well as those unique works of innovative designers. The vast selection of merchandise ensures that Donoho’s will remain a choice destination for luxury connoisseurs and collectors of fine timepieces, who represent the core of this jeweler’s client base. And they can often find items here they often can’t find anywhere else. Gift items such as writing instruments, music boxes and watch winders from Orbita round out the store’s selections. The elegant atmosphere of the store, which is adjacent to the highly trafficked and posh Woodlands Mall, is matched only by the warmth and friendliness of the staff. 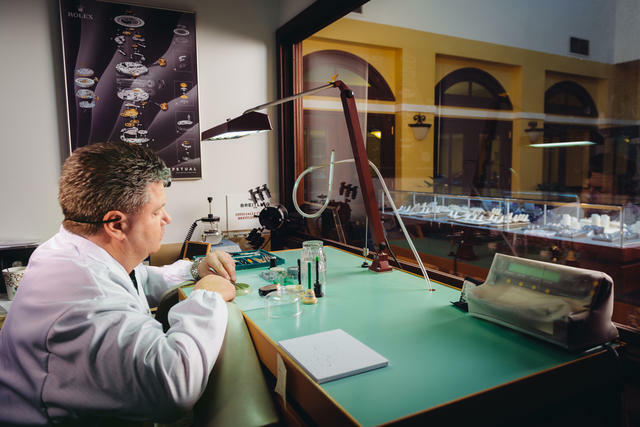 Donoho’s Jewellers’ exemplary team of professionals, all of whom are expertly trained in the art of horology, make it their collective goal to ensure that each client receives individualized care and attention. The store’s professional staff, which counts hundreds of years of combined experience, stays abreast of industry trends and innovations through vendor trainings, trade magazines and in-house instruction. Donoho’s Jewellers also maintains a watchmaker on site, guaranteeing professional and timely service when needed. Staying in touch with loyal customers and collectors is a high priority for Donoho’s Jewellers, and social media such as Facebook, Twitter and Pinterest play an important role in this regard. In addition, the store hosts annual bridal, holiday and trunk show events, as well as o -site brand events to which clients are invited. An active e-commerce site allows customers to comfortably interact with the Donoho family of products from home or office, while it also offers information about the many services available. 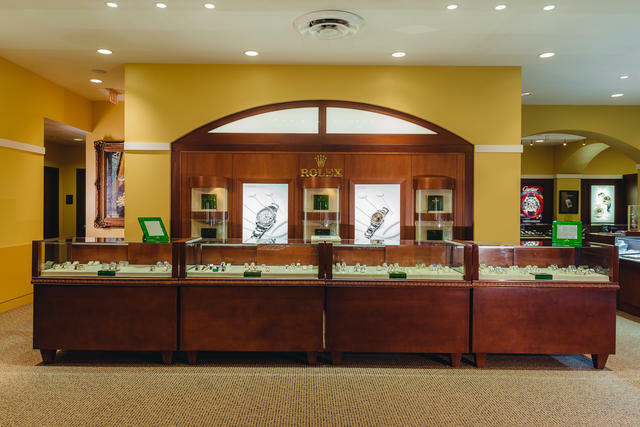 For example, in addition to its watch repair service, Donoho’s Jewellers provides on-site jewelry repair and cleaning, as well as a watch and jewelry trade-in program. With an eye toward its community, Donoho’s Jewellers supports a number of local, regional and national philanthropic organizations. Interfaith of The Woodlands, a faith-based organization that is committed to bringing people together to “build a more loving and caring community through service,” is just one of the recipients of the jeweler’s gracious generosity. For 38 years, Interfaith has been an invaluable resource in the Woodlands community for residential services, child development, and workforce services. 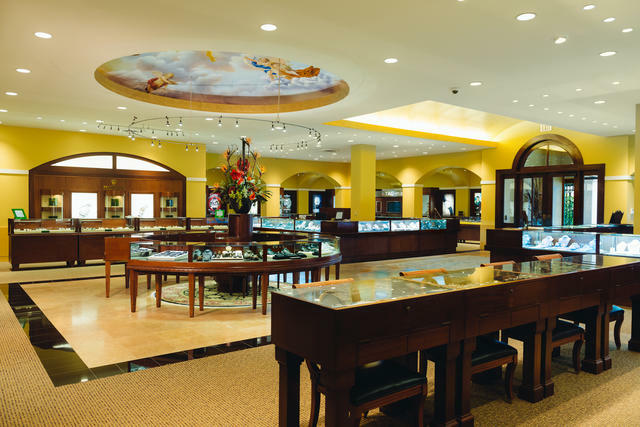 Donoho’s Jewellers has been a member of the Diamond Cellar Holdings family, which includes Bruce G. Weber Precious Jewels and Diamond Cellar (see this issue for more about Bruce G. Weber and Diamond Cellar), since 2007. Diamond Cellar Holdings operates under the guidance of company CEO Andy Johnson, a long-time veteran of the jewelry business. With its strong foundation, broad array of products and services, and unwavering devotion to absolute customer care, it is evident that the future holds continued success for this Lone Star State jeweler.